Swimming: 2016 was entirely about swimming for me. I have a background in swimming from when I was a child but it was twelve years since I’d been in the water. Sometimes I can’t believe I stayed away for so long because out of anything I’ve done in my life, swimming is still what I feel most comfortable with. I joined swim club on the first Wednesday night of 2016 and didn’t miss one all year. I also accepted zero excuses from myself for missing training (no matter how much it hurt or how cold it was at 5.30am in winter). I quickly found a good routine to stick to for the whole year but I didn’t find it easy with a full time job mainly because of the constant lack of sleep. But I had a dream this year, not just to return to swimming but to get to the level I used to be as a child. It took training most days all year but I did it in the end. One of the first swim meets I did for the year was the Western Met RSL Carnival. I certainly did not expect to win the trophy for the open 50m freestyle championship race. To be fair, there wasn’t much competition, it was a small carnival and I was still 3-4 seconds off where I wanted to be for the race but still not too bad for the first 50m freestyle I’d entered in 12 years. Unfortunately didn’t get to keep the trophy but still exciting to get my name on it. Since it was my first one in so many years I just had to get a picture. 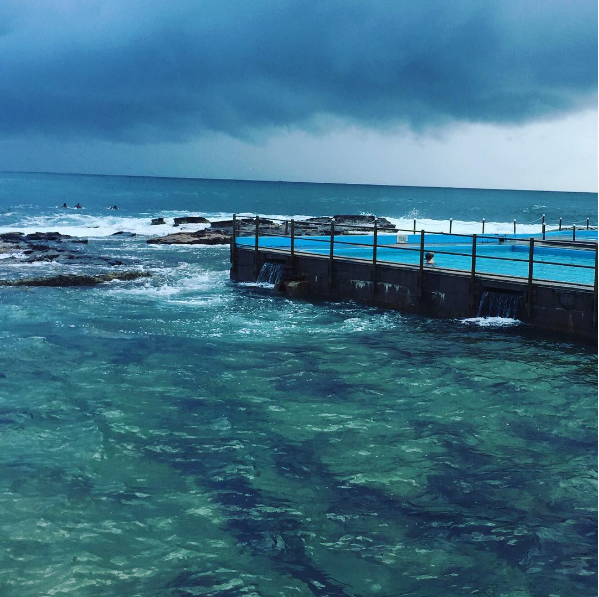 A couple of weeks later I attended a carnival at Dee Why in an ocean pool. It was my first time racing in an ocean pool and found it very different. Unfortunately it was freezing and rained the whole time despite being in summer so I didn’t get the full experience. I didn’t win the open race for this carnival but hope to go back again another year. 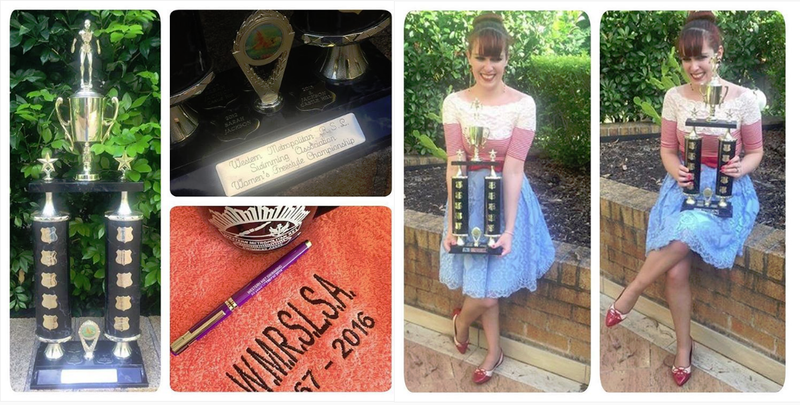 In total I believe I attended six RSL carnivals and 15 Masters Swimming NSW meets for the year. I wanted to put in maximum effort and be involved in everything. However, I found the Masters events particularly stressful. They shouldn’t have been but racing swimming makes me nervous despite having learned to race when I was nine years old. It is pressure I put on myself because I’m so annoyed and disappointed at myself if I swim a bad time. I am still not sure how to deal with this. 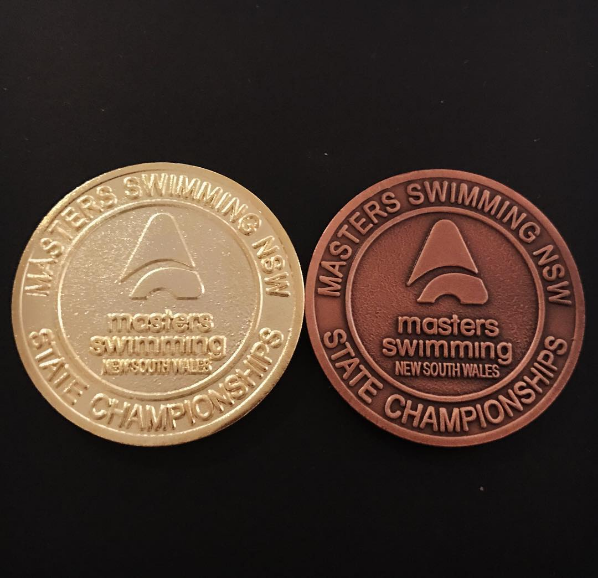 The highlights for the first half of the year were the Long Course State Championships at Sydney Olympic Park in April and Ettalong Masters in May. 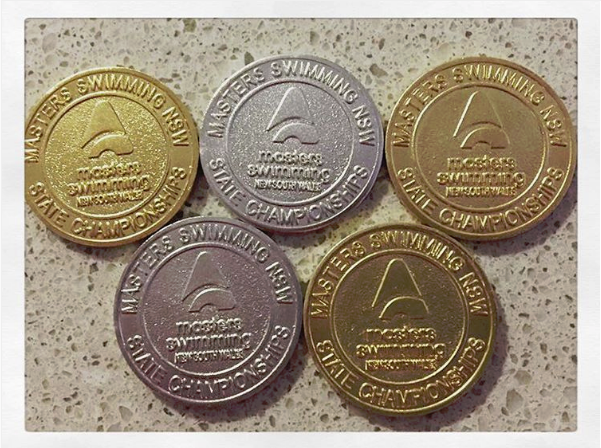 The State Championships were one of the few Masters Meets with medals so that was pretty exciting! I knew I still had lots of work to do because my times were so far off where I wanted them to be. The Ettalong meet was amazing for a different reason. I spent the weekend away at Pearl Beach with my friends and we had free time after the swimming events were over. Pearl Beach was the most beautiful location and since it is very secluded it’s the perfect escape from every day life. In May there was the summer presentation for my swimming club. I’d only been in the club for half a season at that point so was very happy to win these awards. I won the open 100m freestyle championship event which was a huge surprise. However, again I knew it wasn’t a fast time so had the goal to become a lot better. 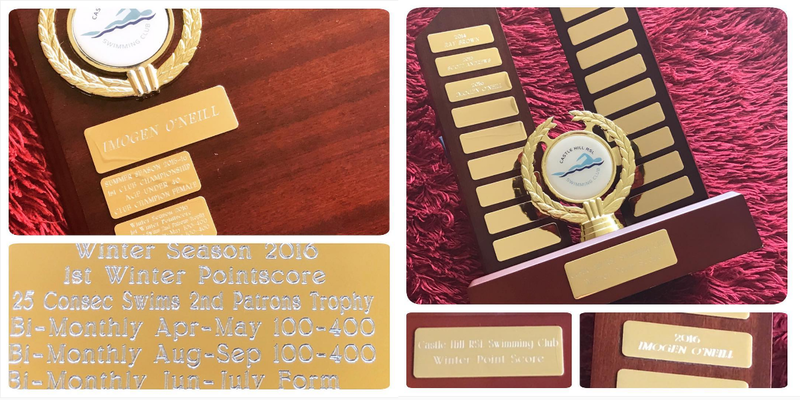 After many more swimming events in the middle of the year we once again went to Pearl Beach for the State Short Course Championships in October. I won five medals at the championships but it was a weekend of ups and downs. Three personal best times and two terrible times. I’d never been so disappointed with any races all year as I was with two of the swims. I even felt bad having gold medals for them. I was much happier with the silver medals because they were good swims. Overall I had an amazing time up the coast again and hope we go back again this year. Next was our own Halloween themed swimming carnival hosted by my swimming club. It was one of the most stressful times ever organising the decorations and coordinating various tasks on the day. Aside from that the swimming went well. I won the trophy for the open 50m freestyle championships. I’d wanted this so much given it was our own carnival. As you can see I dressed as a black cat for the themed presentation afterwards. The last big meet for the year was the Long Distance Championships. I participated in the 400m backstroke and 800m freestyle. I knew the 800m freestyle would be hugely competitive when deciding what to swim for the meet but I wanted to try it as a challenge. I was very happy with 3rd. I also love the look of the bronze medals and it was my first one. In November we had the winter presentation for my swimming club. I won these awards. Many were achieved from consistency so it just goes to show what can be achieved by showing up each week and wanting something enough. 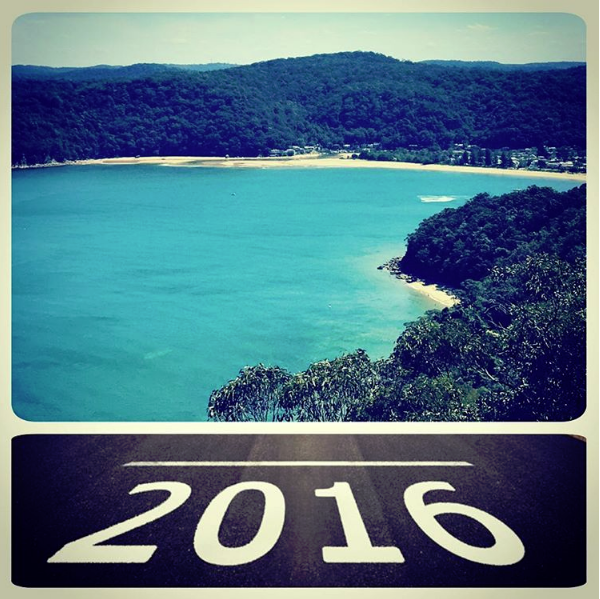 It felt like a moment to reflect on the crazy busy year it had been with swimming. All year I’ve been working on achieving the million metres award with Masters Swimming Australia. The name is self explanatory and requires a log book to be kept which documents total distance swam. I find it motivating because every training session and every single lap counts for something. I ended up swimming 679.3km this year which is an average of 13km each week. I still have to swim 320.7km to reach one million metres so it will take a number of months more. But I can see the end and I hope to receive that award before the middle of 2017. The positive influence swimming had on my life majorly contributed to 2016 being the best year of my life. I am sad to see it end. After everything I’ve been through in my life I am incredibly grateful. What have you achieved in 2016? This entry was posted in Fitness/Sports. Bookmark the permalink. The amount that you have accomplished this year is incredible and inspiring! I am glad to hear you had such a wonderful year and I hope that 2017 brings even more great things. 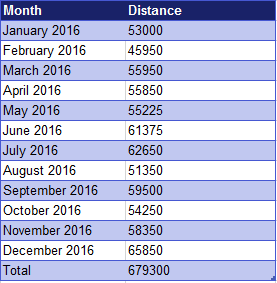 Wow, the distances you reached through the year, amazing! medals, trophies, so many incredible things – congratulations! You are really very disciplined and you certainly reached a great position – in this way you will go to the Olympics! You look lovely as a black cat! I admire you so much, cause although I also started swimming as a child, I didn't keep he habit 😦 And especially in the sea, I am afraid. So, I hope you go on, and reaching incredible things, and that you have a wonderful new year! You accomplished so much last year!